After sold-out performances and rave reviews at Fringe 2016, 2017, and 2018 we're excited to return to Edinburgh with this new revue of Broadway hits! 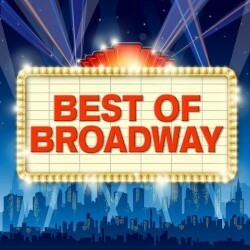 Join us as we bring the Best of Broadway to the Fringe. This show is sure to be a hot ticket for musical theatre lovers! ‘A great way to start off a Fringe day... a delightful and entertaining production... if you like show tunes, you’ll like this’ (BroadwayBaby.com).